A strain of weed is a particular type of weed that will produce a particular type of high every time you smoke it. Strains are classified as sativa, indica, or hybrid. Because there are so many different strains it gives the grass smoker an abundance of candy to choose from. A few examples of sativa strains include: Blue Dream, Sour Diesel and Silver Haze. The effects of these are similar but in no way identical. Indica strains, like kush, have many sub-strains with the name kush in it, for example: Bubba Kush and Purple Kush. When sativa and indica strains are mixed, the surprising difference in high from the two parents is often enough to name it a completely different strain and this is where hybrids come from. 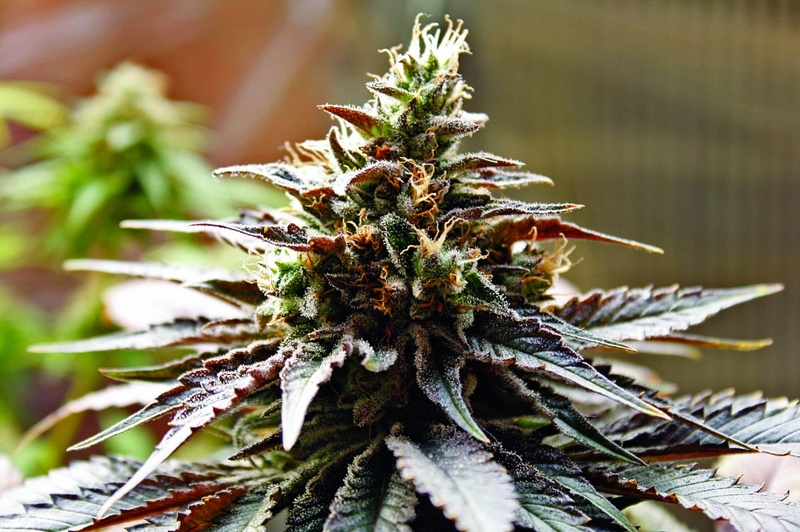 The list of strains goes on and on, and a new one is being created all the time. This is a major part of why shopping for marijuana can feel so invigorating and exciting. While this hybrid doesn’t hail from the forest moon of Endor, its creative, cerebrally-focused effects would have helped its furry namesakes defeat the Galactic Empire. Whether you need to destroy a shield generator or just gear up for day-long Star Wars marathon, this strain has you covered. This indica will convert you to the dark side through sheer force of will. Like the black-cloaked Sith himself, this strain will figuratively force-choke by way of its tingly, sleep-inducing effects. 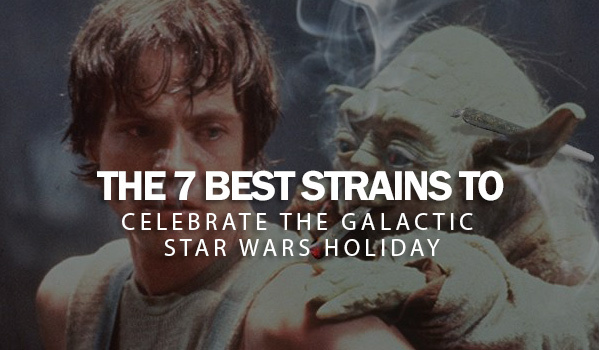 Not for the faint of heart, you’ll truly show how high your midichlorian count is if you manage to stay awake through all six episodes while consuming Darth Vader OG. It doesn’t take a full 24 standard hours, but this indica does have a slow onset that gives way to euphoric relaxation, much the same as felt by Tarkin following the destruction of Alderaan. Great for day or nighttime use, this strain will help prepare you to maintain a massive superlaser or just a relaxing evening at home with your fellow stormtroopers. This strain will help you cultivate patience, logic, attentive listening, and tolerance – skills paramount to the Jedi way – through its relaxed, uplifting effects. Whether you’re at the Jedi Temple on Coruscant or keeping the peace in the outer rim, this is most definitely the indica you’re looking for. It’s unlikely this strain will motivate you for a hard day of work on moisture farms of Tatooine, but it will definitely help you to unwind after. Its decadent blueberry flavor will provide a tasty treat, while its euphoric, relaxing effects will put you right to sleep. After all they’ve done to preserve the Jedi Order, we couldn’t help but give the Skywalker family two slots on our list. The Force is strong with this indica-dominant hybrid, helping its consumers to pick up on the euphoric and relaxing energy that resides in all living things. Be careful though: too much and you’ll relax yourself right into a long slumber. 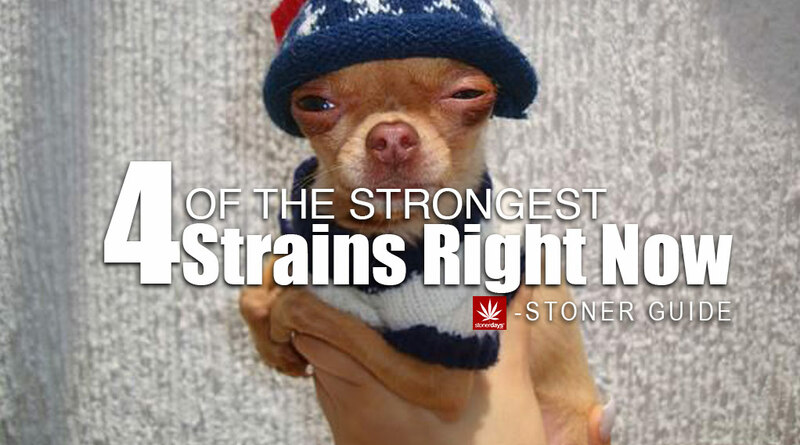 With lab-tested THC levels that reach over 20%, strong medicine Master Yoda is. A 1st place winner at High Times Cannabis Cup, it seems likely this strain is the Grand Master of the hybrid order. It will get your creative juices flowing, helping you reach euphoria that will allow you to see clearly – perhaps clearly enough to sense Senator Palpatine’s true identity. But even if you can’t circumvent the Clone Wars, you’re still guaranteed a great time with this hybrid.